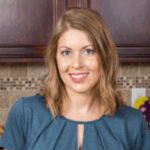 Published: Feb 4, 2016 · Modified: Apr 12, 2019 · By Jen Sobjack · This post may contain affiliate links. 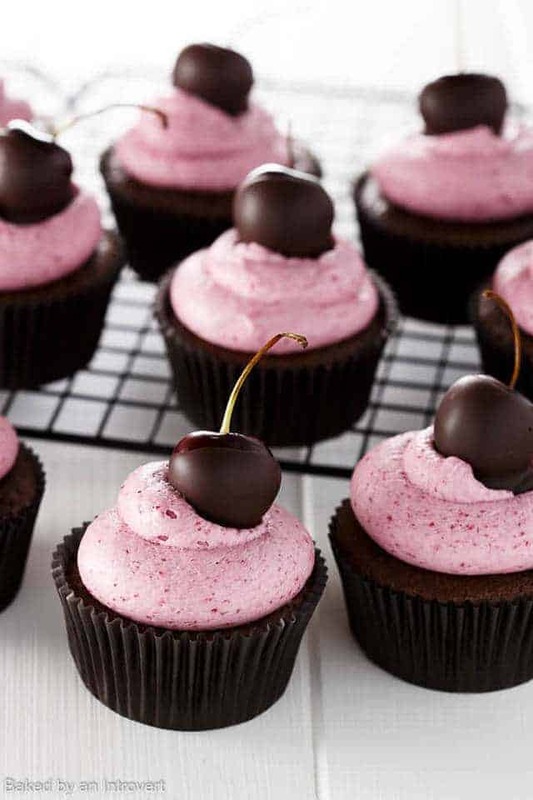 If you like chocolate covered cherries, you are going to love these Chocolate Cherry Cupcakes. A delicate spongy cupcake filled with cherry preserves and topped with cherry buttercream frosting. These are sure to be a crowd-pleaser! This recipe was inspired by my favorite candy, chocolate covered cherries. The cupcakes are full of chocolate flavor and kept moist with the help of oil and butter. 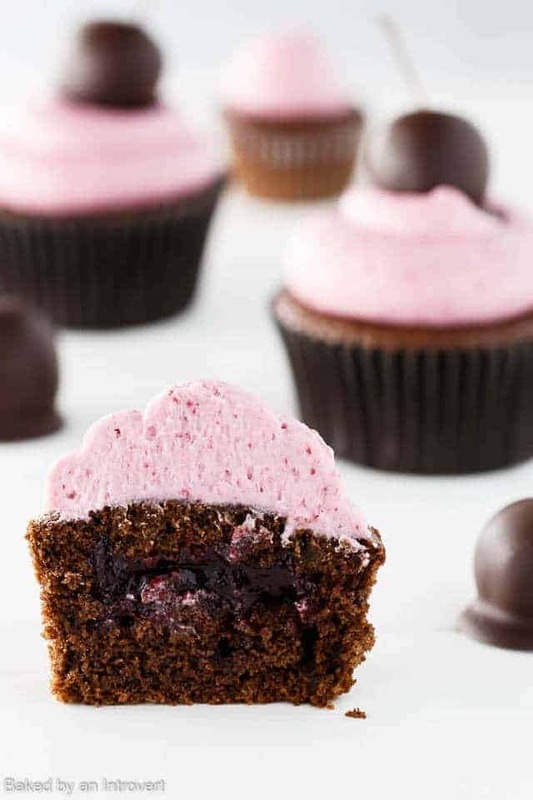 The frosting is a simple buttercream that is flavored with cherry preserves. Each cupcake gets a generous filling of cherry preserves and then topped with the cherry buttercream. There is no shortage of cherry flavor in this recipe. Who doesn’t love chocolate covered cherries? This is a cute cupcake idea for Valentine’s Day. Don’t you think? 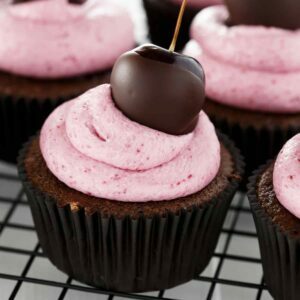 If you love chocolate covered cherries, you will absolutely adore these cupcakes. The cupcake base is my all time favorite chocolate cupcake. I used it for these Dr. Pepper cupcakes and these Andes Mint cupcakes. Both of which were a huge hit with you guys! I love this simple chocolate cupcake base. It’s fluffy, moist, and sturdy. I filled the cupcakes with cherry preserves. And topped them with a sweet cherry buttercream frosting. I like to use black cherry preserves because of the rich, dark color. If you can’t find it, you can simply use regular cherry preserves. For extra emphasis on chocolate covered cherry, I dipped fresh cherries in chocolate and topped each cupcake with a single cherry. These cupcakes are one of my most popular cupcake recipes. Every just loves them! Preheat the oven to 350°F. Line 12 muffin cups with paper liners. Set aside. Spoon 2 Tbs of batter into the paper lined muffin pans. Bake for 15-20 minutes or until a wooden toothpick inserted into the center comes out with only a few dry crumbs. Remove cupcakes immediately from pans, and cool completely on a wire rack. 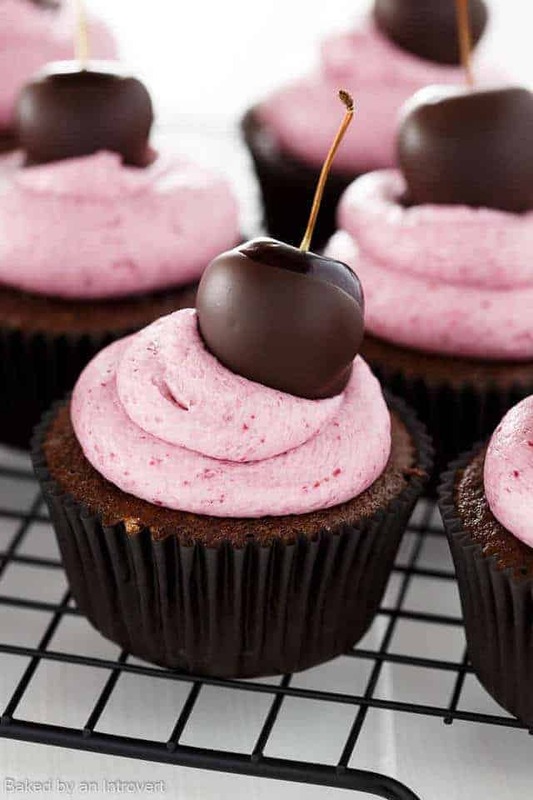 Use the point of a sharp knife to cut a small well in the top center of the cupcakes and fill with cherry preserves. Replace the top portion of the cupcake and top with frosting. Garnish with fresh cherries dipped in chocolate if desired. Beat butter on medium speed until fluffy. Gradually beat in powdered sugar until light and fluffy. Beat in cream until frosting reaches spreading consistency. Beat in the cherry preserves. If the frosting becomes too loose or curdled looking, add more powdered sugar, 1 tablespoon at a time until the frosting comes together once again.